We have added to Splynx a module to manage Huawei GPON from splynx. To add an OLT, go to Networking → Huawei GPON, it needs IP, ssh port, and login/pass. Also it's so important to set correctly the UPLINK BOARD and the UPLINK INTERFACE. After the OLT is added, we have a menu with 4 different pages. Informartion - Where you can edit the OLT details. 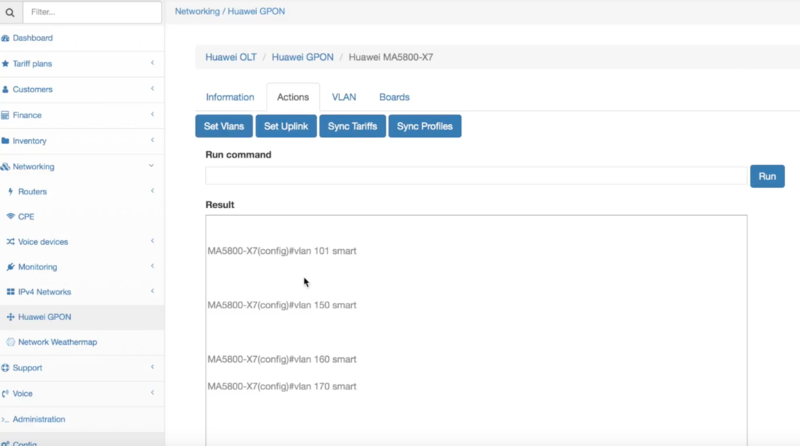 Actions - From actions you can apply the config to the OLT, Set Vlans, Set Uplink, Sync Tariffs or Sync Profiles. It's also possible to run a command. VLAN - From where you can manage vlan and edit their name and vlan number. Boards - From boards is posible to run autofind of boards, and enable auto find on ports from splynx. 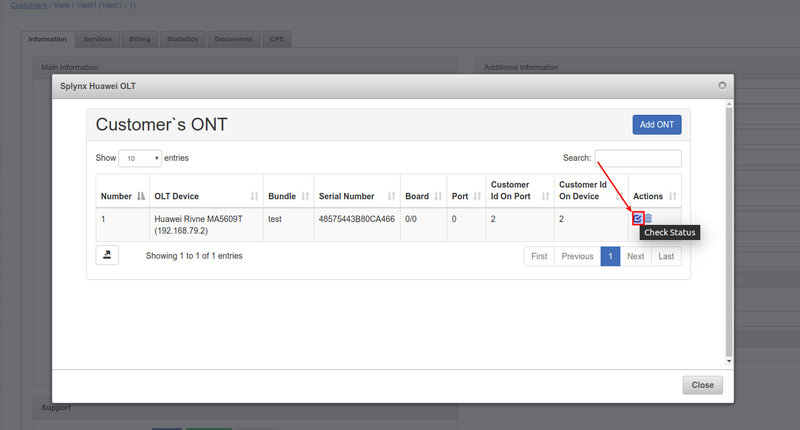 Once that config is completed, we can find the and assign the ONT to the customer from the customer information page. First select the OLT where the customer is connected. The click, on autofind to discover the diferent ONT from the OLT, it will display the availanle customer units with detalied information, so we can select the correct one. Then ONT will be added and we can check the status or delete it. This guide is also explained in the following video, step by step.